This is a compilation of all the logs and news items that have appeared on this site in August 1998. 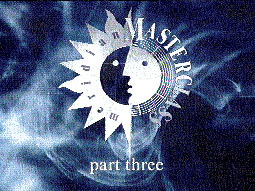 Logbook - I've compiled a 1998 (so far) logbook in Adobe PDF format based on logs printed in Skywaves magazine, the monthly magazine of the British FM & TV Circle. Propagation - Nothing to note. QSL - Added recent QSL Report issues to the website. Propagation - Nothing noted apart from usual French stuff ... even these not particularly strong. RSL - Presumably the RSL for the Notting Hill Carnival noted on 87.7, though too much QRM from the Southall satellite relay pirate on 87.8. Propagation - France (Lille etc) strong, also Wallonie on 101.8 MHz, but very little else. Propagation - Less meteor pings noted these two days ... still nothing ID. Minor bursts of Belgium via tropo/jetscat. Weather forecast has high pressure over the UK this weekend. Continuing reports of auroral propagation from Finland, but I can't turn the aerial round to North even if it extended down here. Propagation - Occasional meteor pings throughout day and night. Nothing ID as longest burst was around 1 second. Lit the RDS indicators on the Sony, but nothing decoded. Propagation - Weekend pirates blatted most of the Band again. Nothing special noted. Propagation - Tunisia bubbling in on 87.6. Propagation - Slight tropo towards Belgium as most days recently - but not great. Propagation - Tunisia left on RDS display sometime between 0430 and 0900. Sp E or meteor?? Nothing else all day. Propagation - Some tropo enhancement this morning with Germany on 107.1. This evening Begium and France starting to pick up too. Propagation - Early morning tropo opening to France and Belgium. Conditions noted improving from around 0200, until a general deterioration around 1000. RSL - Justice FM on 87.7 is indeed being run by Acton Police. Address: c/o Acton Police Station, 250 High Street, Acton, London W3. It's on-air til Wednesday August 19, and is a children's summer project promoting cycle safety. Kjell Tunsäter suggests Publi Radio Network in Italy. Website - Added a comments form for you (the reader) to fill in if you desire. Propagation - Fair number of meteor pings 0530-0700. Only clear channels here in London are 107.1, 107.2 and 107.3 ... heard various bursts of French, German and ?? East European on 107.2 but nothing ID'd. Later noted VUKOVAR- had registered on the RDS for 107.2. RSL - Heard Justice FM on 87.7 from Acton at 0715. This RSL is being run by Acton Police it appears. However, it's barely audible due to interference from pirates on 87.5 and 87.8. RSL - Also heard something like Heartside Hospital Radio on 107.2 at 1230, though this might be a pirate relay since BBC R2 was here earlier this week. Later the RSL Fundamental FM was heard on 107.2 from Battersea. Link - This link was sent to me by Dale Bickel and is to provide coverage information for VHF transmitters. Propagation - Nothing heard here all day. Dave Kenny rang with an alert at 1930 UTC, Estonia reportedly being heard though he was hearing Portugal on 87.6 ... but nothing here. RSL - New list of RSLs provided by Ian Kelly. RDS - List of BBC RDS stations which may need some changing ... if you tell me about errors. This complements the UK commercial station RDS list. Propagation - No E's and the tropo has almost died away. Much windier today as a weather front heads this way from the NW. 94.7 and 92.3 are the only listenable "dx" signals. The Perseids peaked tonight at 2300 UTC, but nothing heard at all. Propagation - Weak Germany around 0100, better at 0700 until fade out around 0900. Nothing to note afterwards. This evening some return of tropo but only to Lille etc and weak Belgium by 2230. Much better reception has been reported by John Faulkner in Nottinghamshire who is nearer the Northern edge of this particular high pressure system. London seems not to be favoured at this time. The high temperatures (31C again today) are giving good nighttime enhancement presumably due to temperature inversions over sea paths. 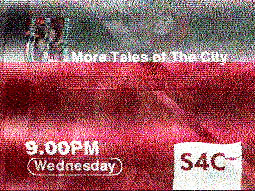 TV - On the ixTV PCI card, I watched S4C from Wenvoe. Propagation - Continuing tropo reception to the East particularly Belgium, and late night weak Germany. Same logbook as yesterday in general. Also an early morning Arabic un-id. TV - Also using my new ixTV PCI card, I watched Meridian tv from 3 sites using the FM aerial. Propagation - Tunisia came in on Sporadic E between 0900-1200 on 87.6 MHz. Propagation - Continuing tropo reception to the East particularly Belgium. Propagation - Found Tunisia had been and gone by 1030 on 87.6 MHz. RDS - KFM have changed their PS name on 101.6 from KFM_1016 to __K_F_M_. Can't get sufficient signal on their other channel of 96.2 to check the PS name there. The UK RDS list has been updated.